. 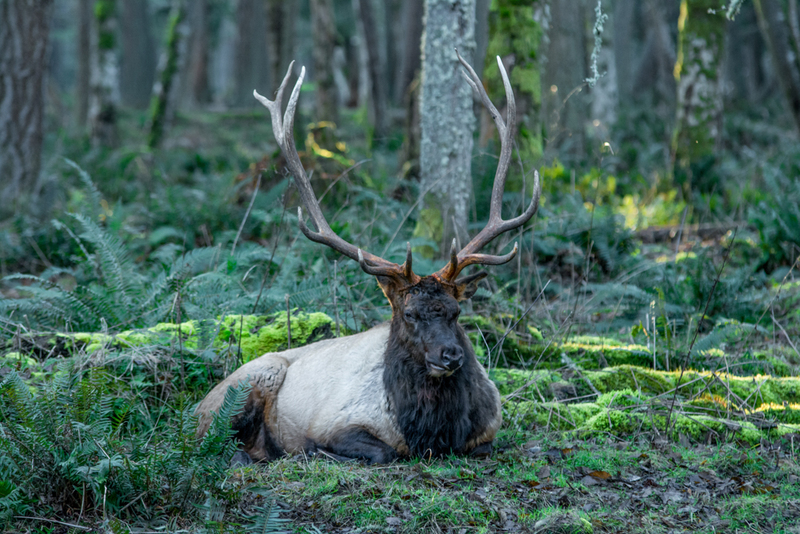 They are known to be much harder to hunt than the numerous Whitetail deer or even open-country Mule deer as elk can cover a lot of ground when disturbed. They often live in steep and mountainous country in legendary places like Hells Canyon, the Missouri Breaks, Pikes Peak, Wind River, Eagle Caps Wilderness, and the Olympic Mountains. To pursue these wary ungulates a hunter needs to carry the right rifle afield that delivers enough “gun” to kill an elk quickly or the hunter will find themselves having to track an animal through steep and unforgiving country. 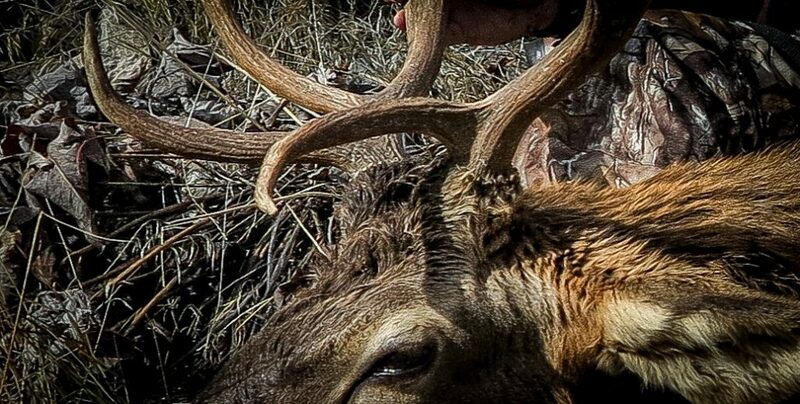 Here are a few suggestions, some old, some new, and some you might not have considered when it comes to hunting the elk in the steep, unforgiving west. This cartridge has been around since 1962 and continues to be one of the most popular elk rounds today. The fast shooting .284-inch bullet is offered in various weights and configurations and makes this rifle very versatile out west where the deer and elk live together. 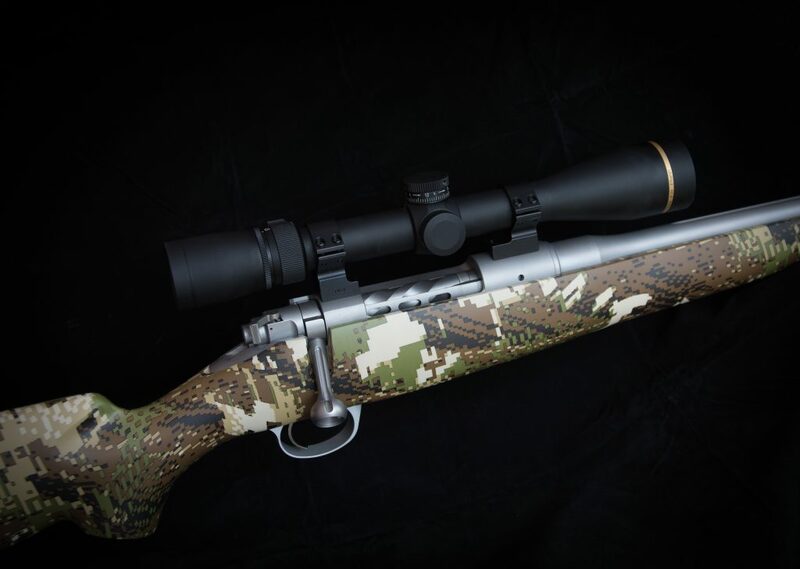 For hunters that pursue mule deer and elk on the same hunt it is hard to beat the 7mm Remington Magnum. I have hunted with a few variations of this rifle and favor my father’s Remington 700 BDL. Since this rifle has been in commercial production for such a long time there are dozens of ammunition companies making ammo for this caliber. 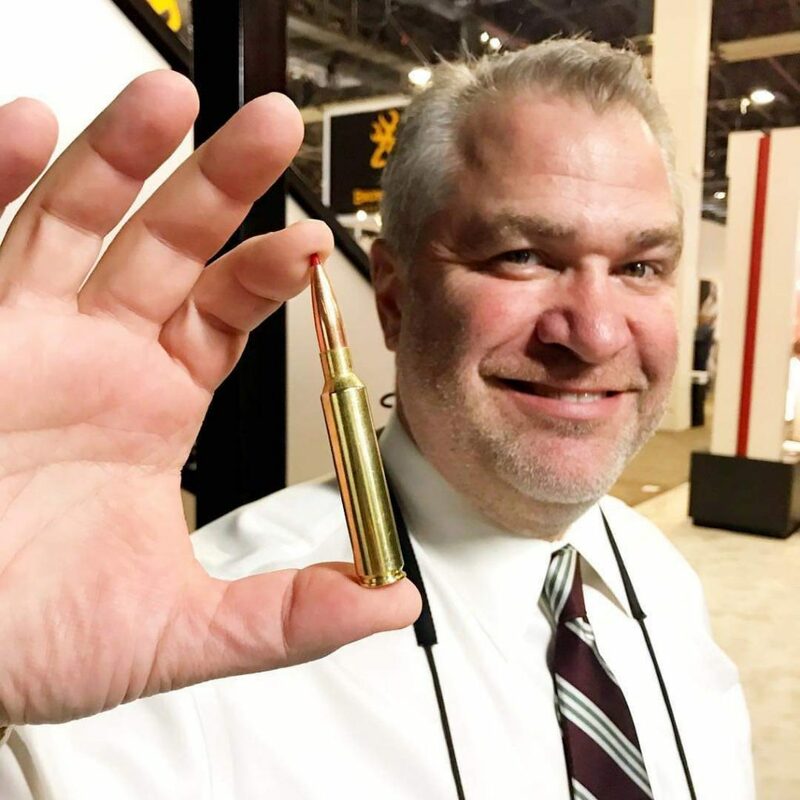 New to the market as of last summer and now thanks to Hornady making commercial ammunition using the 212 grain ELD-X the 300 PRC is an elk round to be reckoned with. Based off of the Ruger 375 this round is a beltless magnum and Hornady came up with casing-configuration that makes for consistent velocities and accuracy. The ELD-X bullet is already a proven precision hunting bullet that uses the best technologies available for long range shooting. The high-BC bullets used in the 300 PRC are designed for flat shooting to deliver unwilling energy at long distances. And energy it has with nearly 4,000-foot pounds at the muzzle and carrying that energy to canyon crossing distances with over 2,500 pounds at 400 yards. An elk hunters dream cartridge that will anchor that bull across the canyon. Currently the 300 PRC is offered in custom rifles and a few rifle shops that are making commercial offerings. Developed in the early 2000’s this nearly 20-year old cartridge is still fairly “new” to most hunters. Based on the .404 Jeffery case the 300 Winchester Short Magnum delivers nearly identical ballistics as the famed 300 Winchester Magnum that has been around since 1962 but being a short round it can be used in short action rifles. This means you can find a backcountry rifle under 6 pounds chambered in the 300 WSM and have the “knock down” power of a standard magnum. Again, thanks to the ammunition company Hornady the 300 WSM is offered in a commercial round that launches a 200 grain ELD-X out of the barrel at 2,820 fps with an astonishing 3,531 pounds of energy! At 200 yards that heavy bullet is still going 2,500 feet per second and delivering over 2,800 ft/lbs of energy. Since this cartridge has been around for a bit of time there are plenty of rifles on the market for the hunter to choose from. New this year is the Subalpine in the Kimber Mountain Ascent offering the 300 WSM sporting a 26-inch barrel and weighs around 5 pounds. The rifle comes with a muzzle brake to help with recoil and is guaranteed sub-MOA right out of the box. The Kimber is the lightest production rifle on the market today. 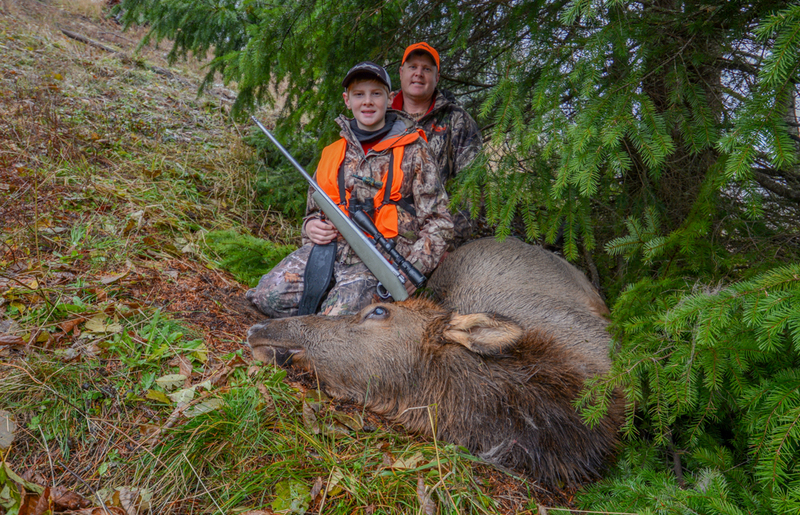 One of the most popular elk cartridges for the past 60 years is the 338 Win Mag. First developed in 1958 based off of the 375 H&H the 338 Win Mag shoots a 8.6mm bullet in heavy weights which is why it is such a great elk cartridge. The caliber is so popular that you can find several production rifles today-as well as some classics such as a pre-64 Model 70-and find ammo at most sporting goods stores. This means if you are planning an out of state hunt and run out of ammo then more than likely you can stop by any store that sells ammo and find some sitting on a shelf. The idea of the cartridge was based on the popular hunting rifles of Europe which at that time was the .333 or 8.5mm and bullets were plentiful to test in the new cartridge with standard bullets chambered up to 300 grains. Today, several ammunition companies make the 338 Winchester Magnum including Nosler that offers a 225 grain Partition. The Partition carries its energy downrange and creates a large wound channel. Hornady has a commercial load using the 225 grain SST which has a muzzle velocity of 2840 fps and an amazing 4029-foot pound of energy! Even at 500 yards the Hornady 225 SST is traveling over 2,000 fps and carrying over 2,000 ft/lbs of energy. 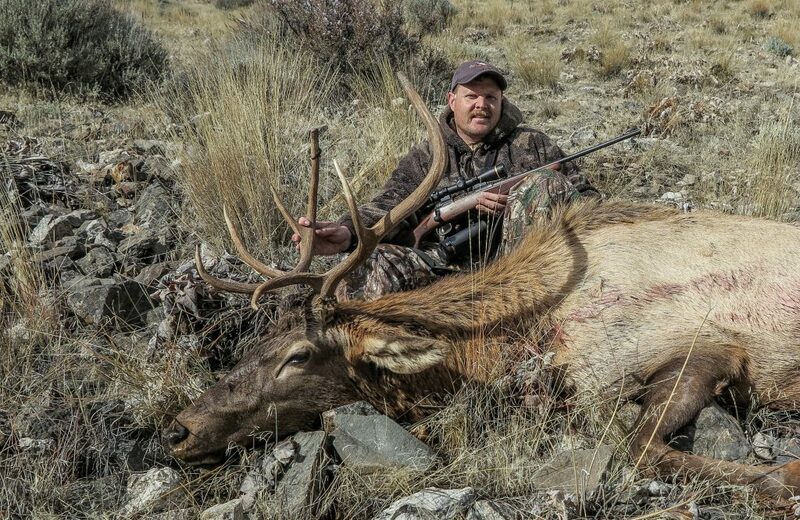 The vast offerings of ammo and rifles on the market today is why the 338 Winchester Magnum is probably one of the best elk cartridges a hunter can carry. When it comes to elk hunting the old saying, “You can’t have too much gun” rings true as a large bodied old bull crosses the canyon heading for dark timber. Some of the best eating big game animals in the lower 48 that you can chase each fall on public land deserve a rifle of their own. Elk are hunted and killed each year with “deer” rifles but those that are serious about pursuing the Wapiti often carry one that isn’t designed for a Whitetail but instead is field proven to anchor that bull in it’s tracks for a quick, ethical kill.